Textile Division | MOTOHIRO & CO., LTD. Challenging the textile industry with the whole world as our stage. Understanding the constant and everchanging flow of these modern times, we are always trying to stay one step ahead, in this textile industry. We have established bases of operation in not only Japan, but also in Shanghai and Sydney, in our effort to become an international enterprise. 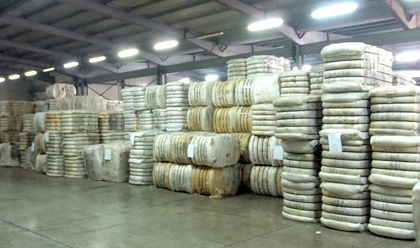 Our wool is produced by our joint-venture factories in China, and sold to countries around the world. 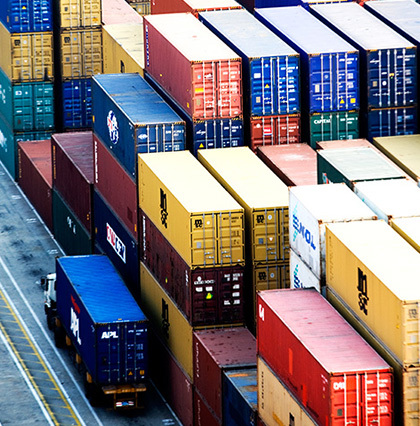 We are also increasing our negotiations in the field of intermediary trade. We are fulfilling not only the role of a textile trading company, but also a manufacturer providing products satisfying the demand of users. Along with the changing of the times, our business itself is also gradually internationalizing, and we are also expanding our business model covering from A to Z, from raw material to complete product, all the steps of the industry. 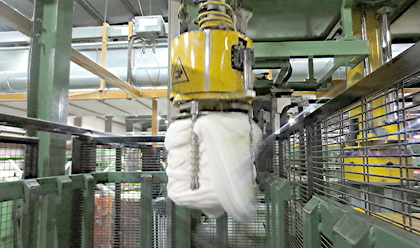 Today we are proud of our main material (wool) and textile business handling other materials. While continuing with the development of new materials and our support systems, we hope to supply better products to clients through our worldwide network." Our business is to begin with purchasing greasy wool at auctions or from farms in Australia and New Zealand. Valuable wool for worsted spinning, woolen spinning, or non-weave are being selected and judged carefully, and then these selected wools are processed in our joint-venture factories in China prior to sales to our customers. Furthermore, our highlight is to share high traceability and story for our wool. These details are highly contributed to the understandings against wool what end users purchase. This department focuses mainly on wool, but also offers such as cashmere, angora fiber,other animal fiber materials and other special materials such as silk and linen. From all these materials, we process them for worsted spinning system, woolen, non-woven or cotton spinning.